The good weather having deserted us, we headed indoors to check out some of the museums of Edinburgh. 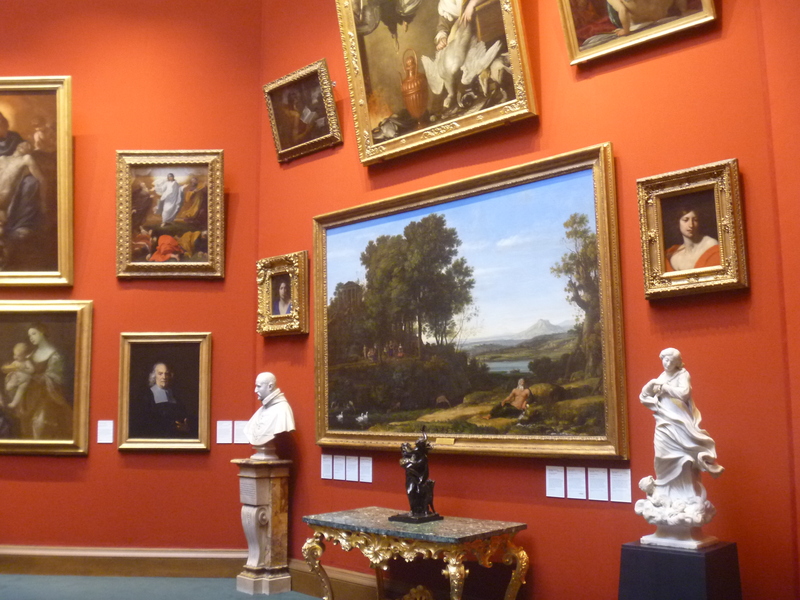 We started at the Scottish National Gallery, where we admired art from the Renaissance to 1900. It’s a traditional art museum and we enjoyed the broad range of work. We moved uphill to the National Museum of Scotland, an enormous natural history museum. On my first visit, I saw the current exhibit on the Celts. It is very extensive, with objects from Bulgaria to the Orkney Islands. In the UK, finds must be reported, but are then evaluated and the nation has right of first refusal (the government can purchase the items). 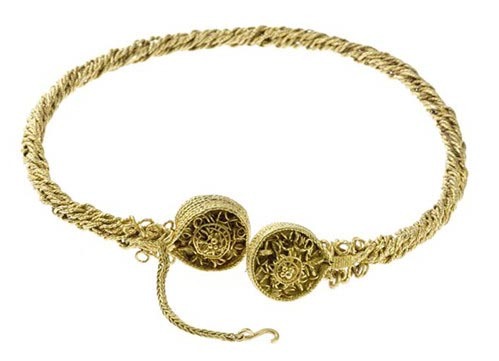 After being valued at over £400,000 the four “Blair torcs” were acquired for the National Museums of Scotland with funds raised by a public appeal. All four torcs are part of the “Celts” exhibit. For comic relief, see the British TV comedy, The Detectorists. It’s on Netflix. I have now seen ALL the Lewis chessmen. The mournful – comic faces of these characters have charmed many museum visitors over the years. I’ve seen those held by the British Museum (they have 82 of the 93 known) and now I’ve seen the 11 at the National Museum of Scotland. There are enough pieces for at least four chess sets, and ironically (based on our recent travels) they are believed to have been carved in Trondheim, northern Norway, in the 1200s. 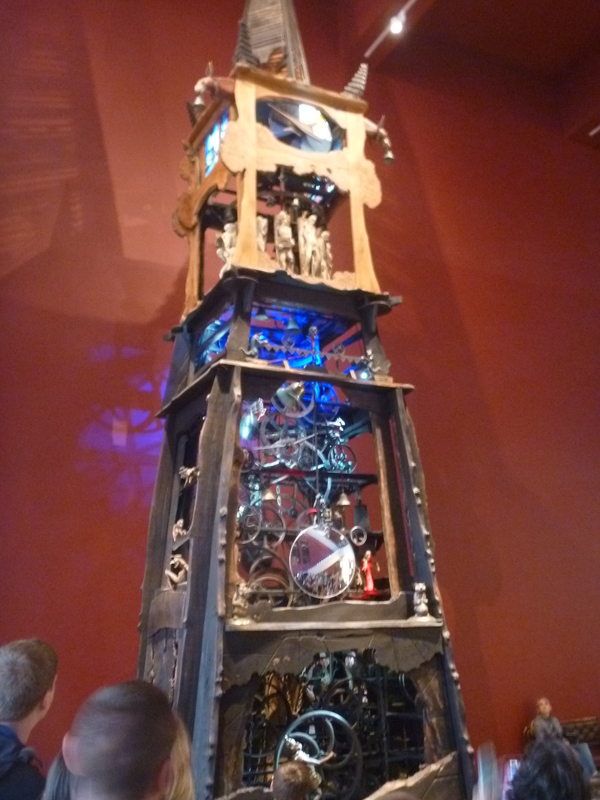 The National Museum of Scotland is loaded with other exhibits and activities, including a wacky clock that chimes every hour–lasting about 15 minutes–with whirling figures and flashing lights. Our next museum stop was the Scottish National Portrait Gallery. The portrait gallery was built to be shared with the Society of Antiquaries of Scotland, which it did until 2009. The structure has a shimmering frieze of figures from Scottish history that looks like something from a Byzantine church, busts of famous Scotsmen, and a small, more recent exhibit of famous Scotswomen. Detail includes constellations on the ceiling. There are many more museums to see in Edinburgh, and plenty of rainy days to enjoy them.